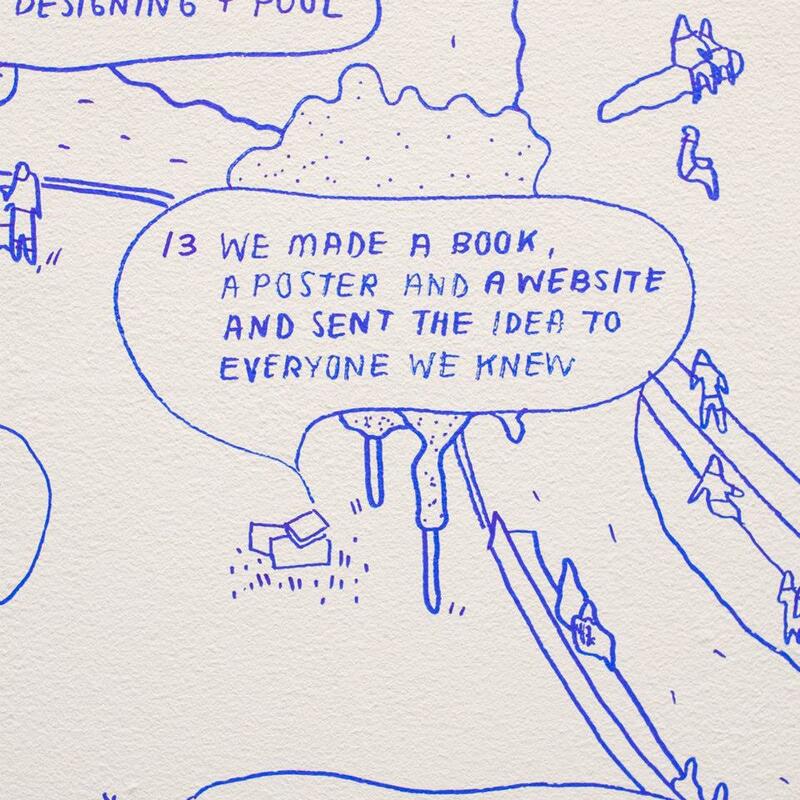 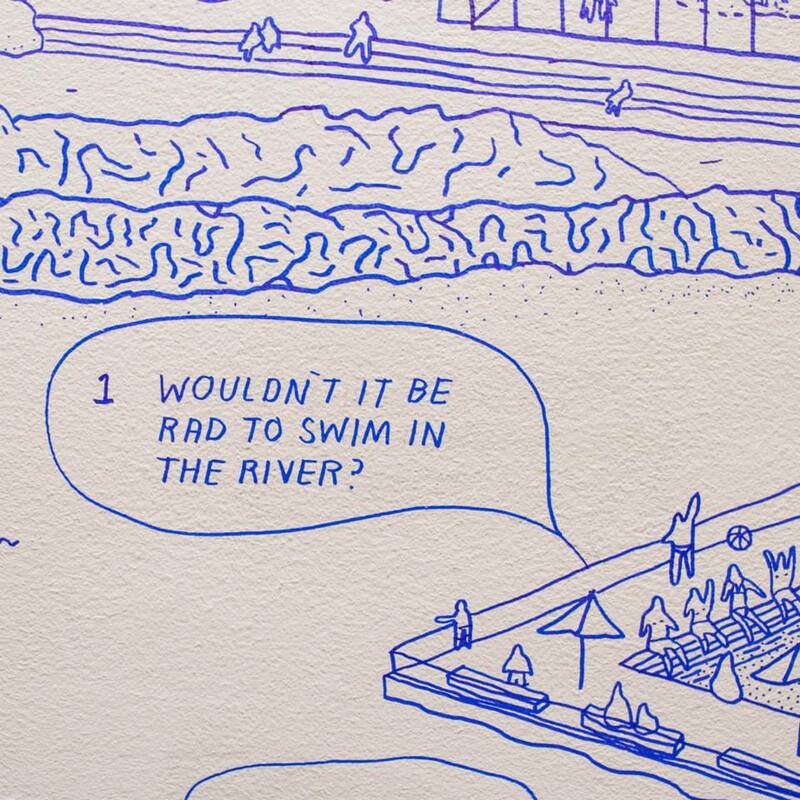 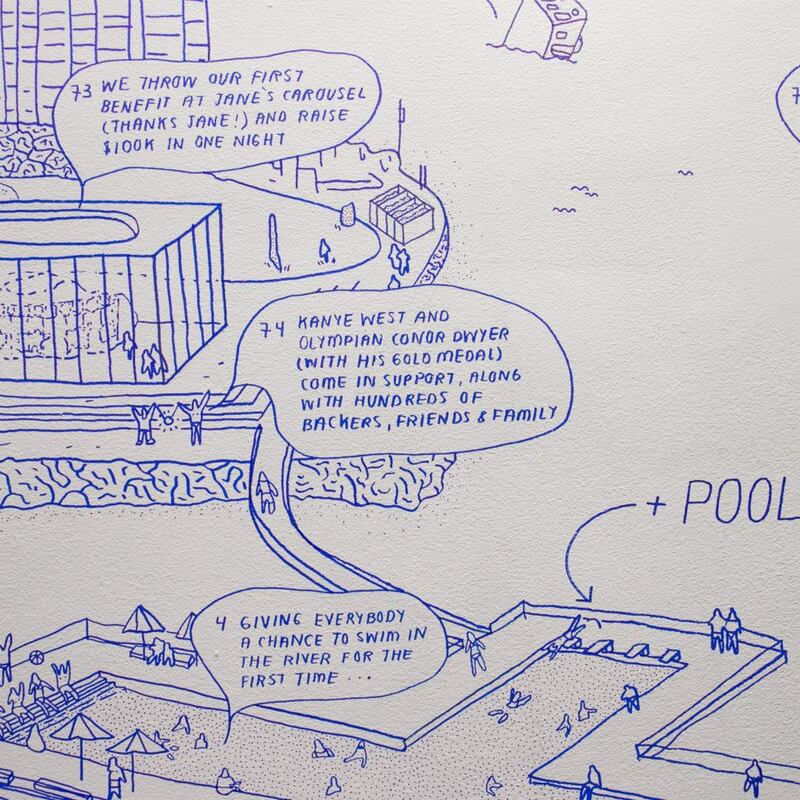 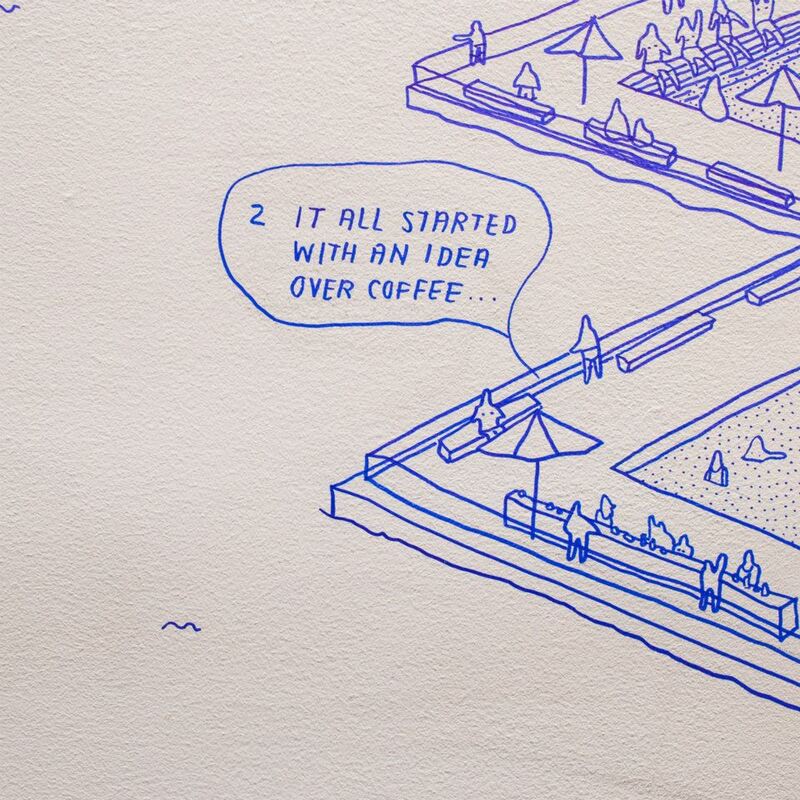 We’re all often so engrained in the daily process of making + POOL happen that we rarely step back to look at everything we’ve been able to achieve, and share it with the public. 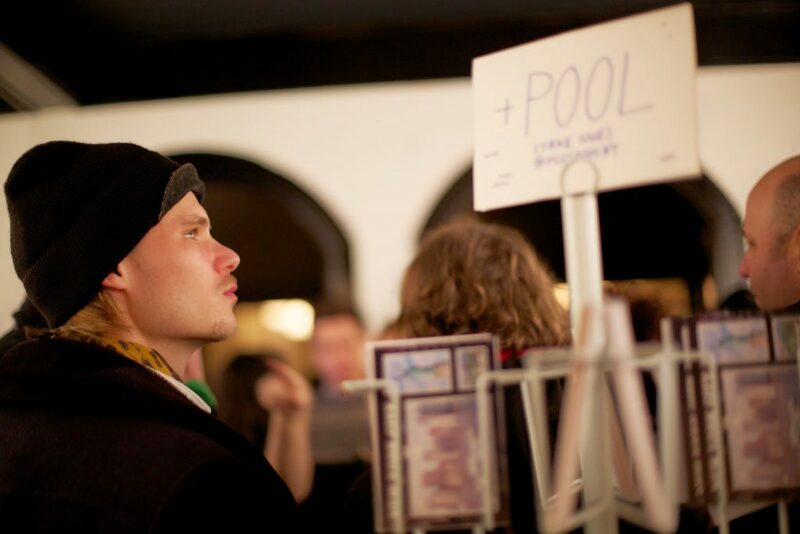 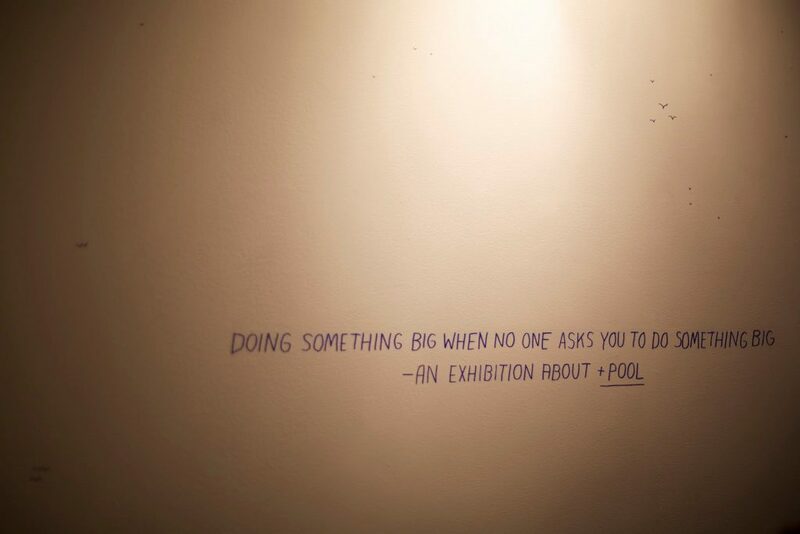 Our good friend Ben Sisto (artist and cultural engineer at Ace Hotel New York) had been following and supporting + POOL for a long time, not only completely appreciated the amount of work that we needed to do (and sometimes not need to do) to bring + POOL to life, but thought it was worth sharing. 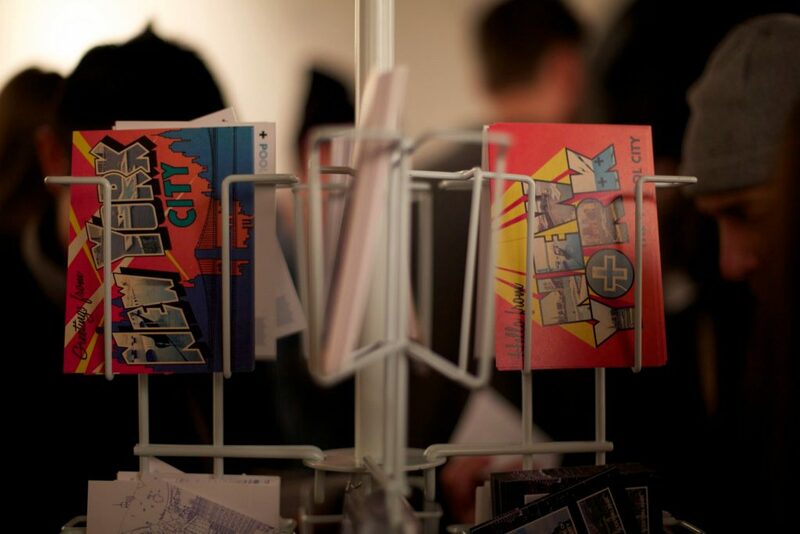 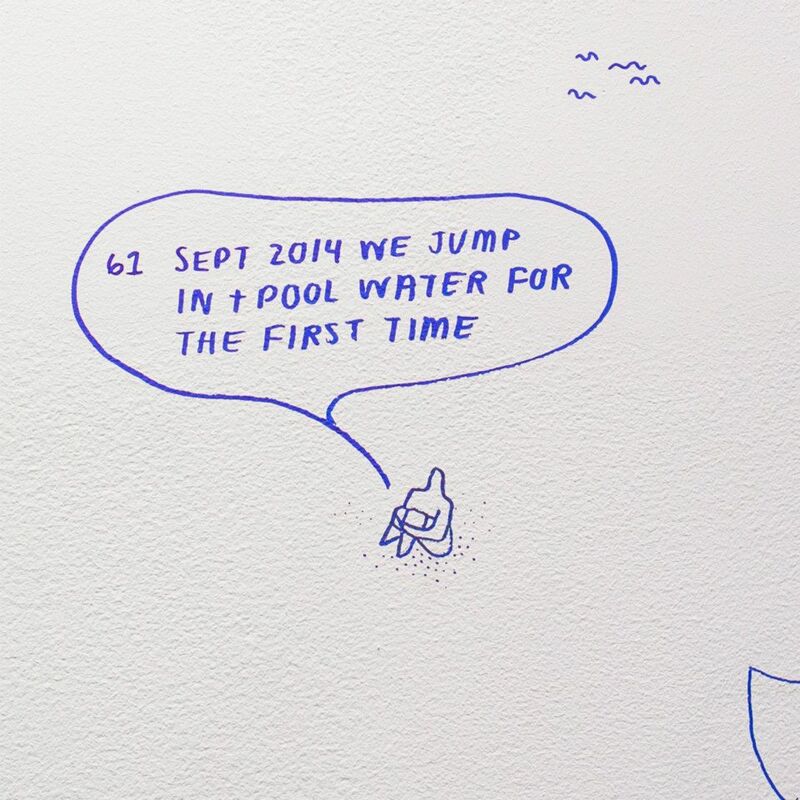 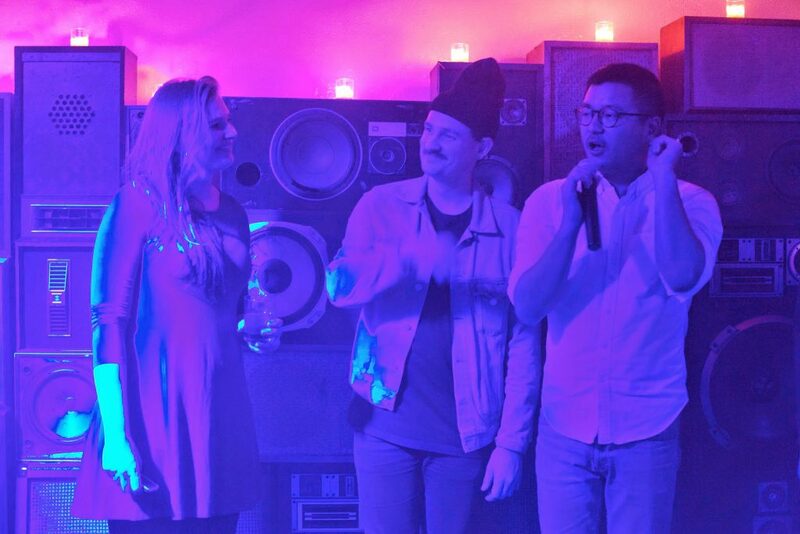 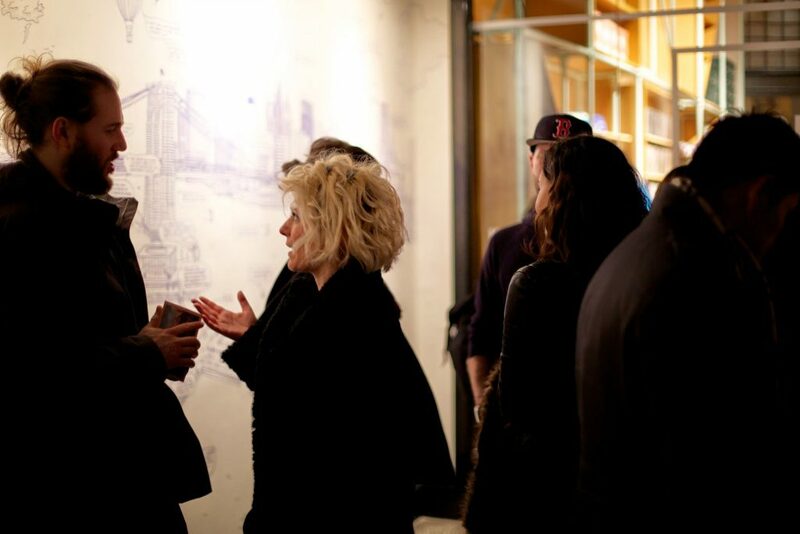 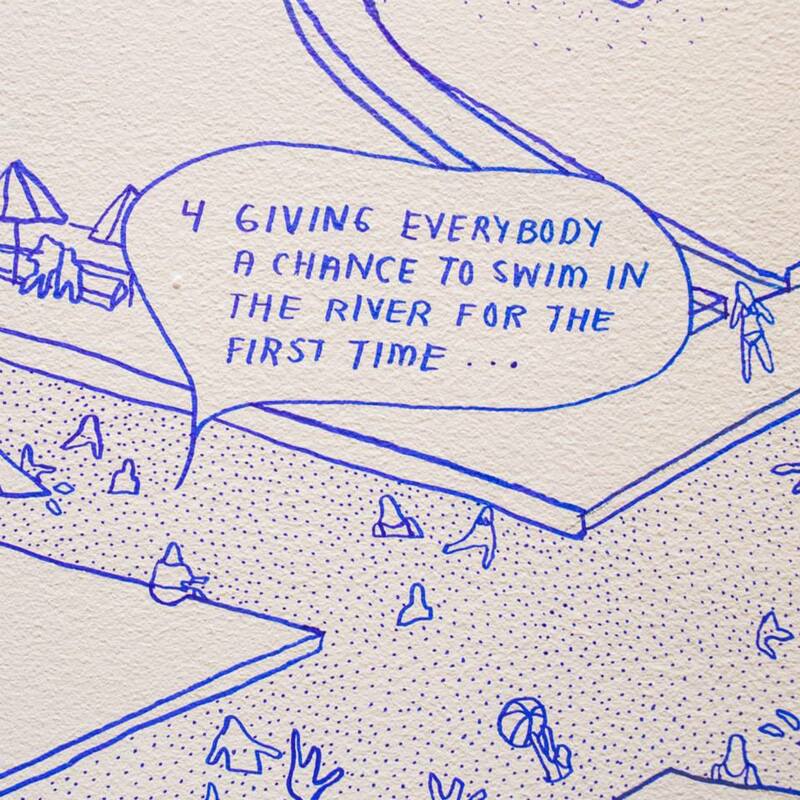 On February 5, 2015, we opened ‘Doing Something Big When No One Asks You To Something Big’ in Ace Hotel New York’s main gallery space, and threw a big party. 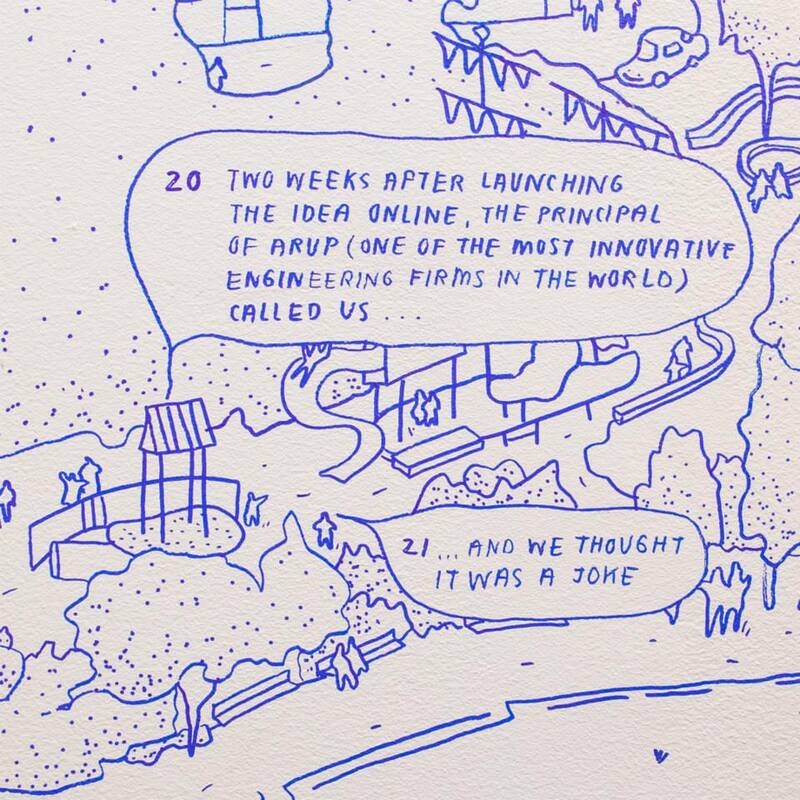 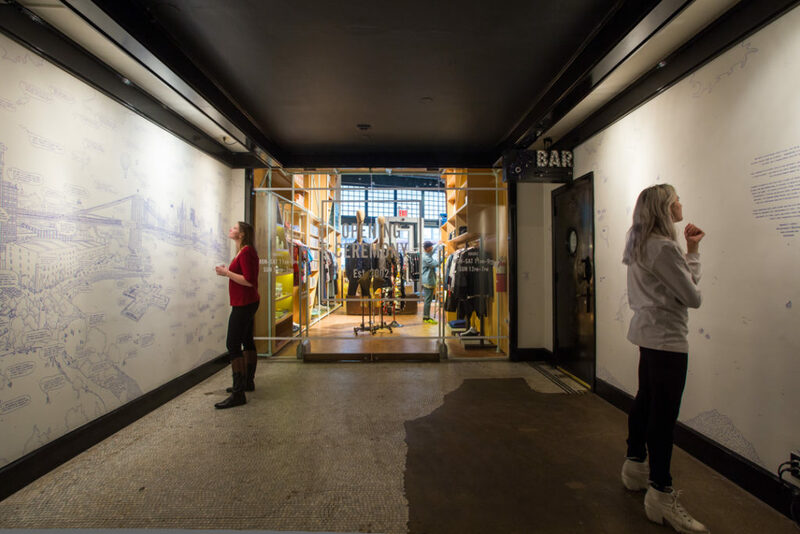 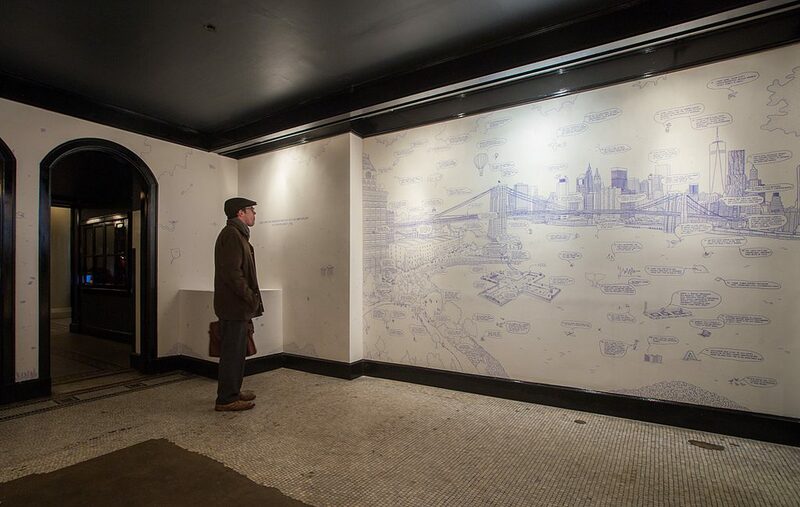 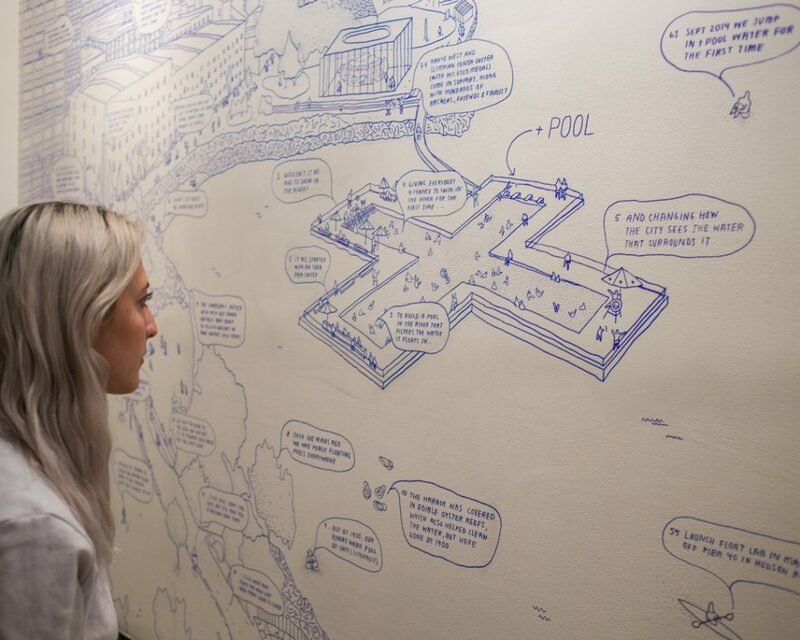 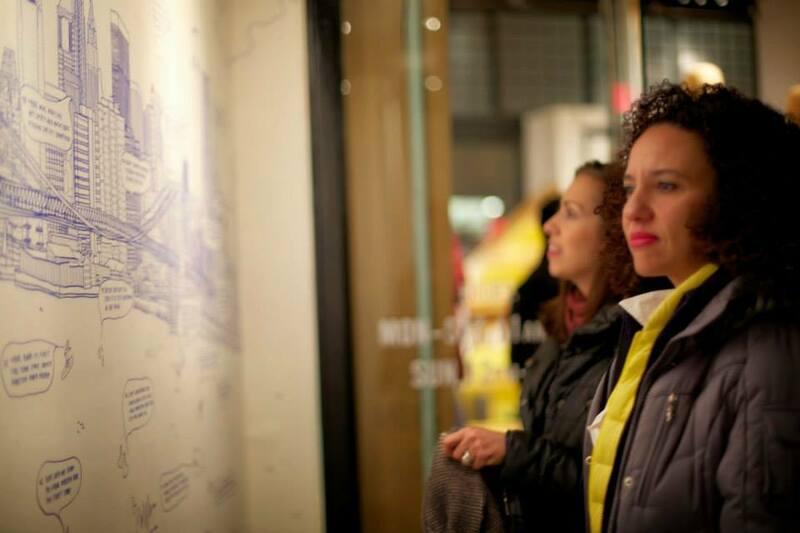 The exhibition was centered around one giant wall drawing—a panoramic view of New York’s harbor—covered in 70+ individual and contextual milestones since the launch of the project. 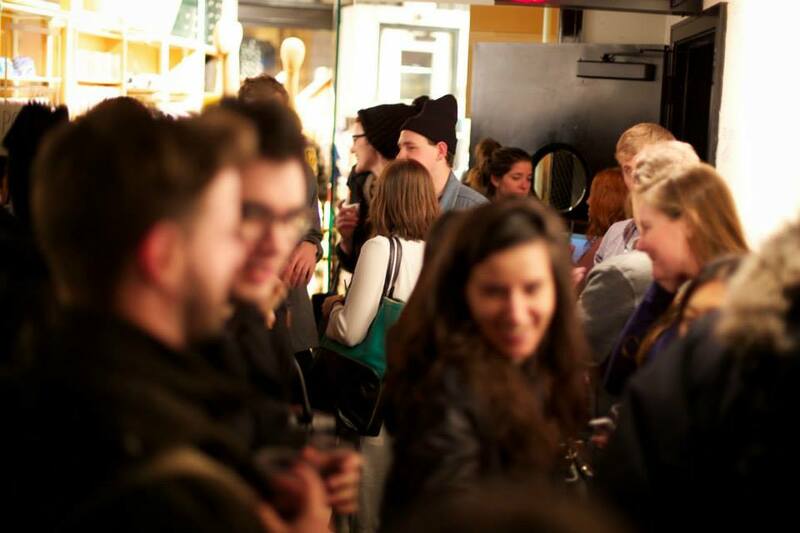 It was one of the first times since we announced a timeline at Brooklyn Brewery in 2012 (link) that we could really look at the project as a whole and how far we’ve come. 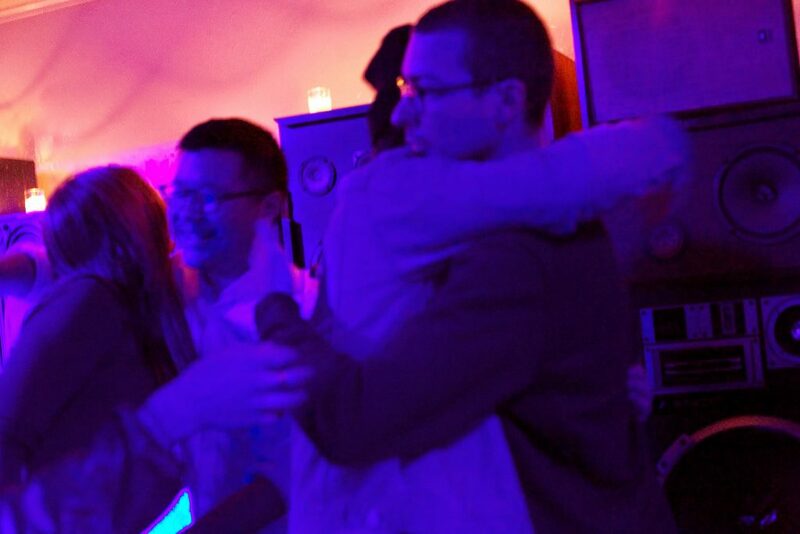 Oh yeah, and the party was rad, too.